As students around the country collected their Junior Certificate results this morning, six exceptionally bright pupils discovered they had achieved an impeccable 12 As in their exams. Last year, 17-year-old Jane M. Hayes Nally was just like them. Here, she writes about the pressure she placed upon herself ahead of the exams and her regret at not celebrating her success. As anyone who knows me will assure you, I aim high. Growing up I had Bible verse 6:7 from the Book of Galatians drilled into me, the words “You reap what you sow” being quoted at every opportunity; Christmas dinner, birthday parties, Sunday lunch. It was made very clear to me at a young age that if I refused to work hard I would never make anything of myself, and it’s with this instilled logic that I have always tried desperately to realise my full potential, whether it be inside or outside of school. Now, I enjoy learning immensely. I loved my Junior Certificate subjects. I adored my teachers. I got on well with my classmates. But I would be lying if I denied that Verse 6:7 is what motivated me to work during the three years of Junior Cycle. “The Pursuit of Excellence” is what my father would refer to it as, but perhaps a more honest label could be “Fear of Failure”. I was hyper-aware of the successes of others, and cripplingly self-aware when it came to my own flaws. To this day I refuse to ask for help in class when I don’t understand something, in the fear that I be seen as unintelligent. I study up on chapters before the class covers them so that I might impress a teacher when I can answer their questions on new material perfectly. I’m constantly worrying about the possibility that I may not succeed, that I won’t have an amazing job, that I won’t be able to have a beautiful house, that I won’t see the world, because I was lazy as a student. This is my biggest fear, and this fear is the reason I pushed myself with my work the way I did. The three week period of the Junior Certificate was indeed the worst three weeks of my life, and I still get unsettling nightmares where I can’t answer questions or I forget that I have French in the morning and History in the evening. Thankfully these incidents didn’t happen (now I know that even if they did, it wouldn’t be that big of a deal!). I did all the things that the ISSU exam tips advised me against… I didn’t exercise, didn’t take study breaks, didn’t sleep well. During two hour breaks between papers I told my friends I was getting lunch with my mother but revised my notes erratically in a toilet cubicle instead, writing out definition after definition, trying desperately to retain everything, despite already having studied everything a hundred times before. My coping mechanism for this miserable time was to imagine myself in a parallel universe, on a island surrounded by turquoise water and bright white sand. This is what essentially got me through those sleep-deprived, stress filled days, pretending I wasn’t actually in the real world. Not a very healthy state of mind. At the end I was practically sub-human. I hadn’t had a proper conversation with another person in weeks, hadn’t relaxed, hadn’t gone out with my friends to the cinema or gone on sleepovers . It took me about a month to get back to normal, where I felt as good as I had before my Junior Cert Pres, before I had the constant worry of state exams on my shoulders. Results week came around, and everyone was planning outfits, venues, which restaurant to go to, which house to get ready in. I firmly declined all offers, despite my friends pleas. I was so worried about not doing well that I made sure there could be no one around me to ask me what I got, because telling them I did badly would be mortifying. I planned to isolate myself rather than be with the girls I loved on such a special night, because I couldn’t risk feeling like a failure. On the day of results, I got the grades I had fantasised about, and I achieved the highest marks in my school year. I cried as soon as I saw the neat row of letters… Not from happiness as such but I was relieved. In my mind, anything less than the highest would have been a disappointment. As I recall it, i realise how twisted that was, to be more relieved that I didn’t fail than happy that I succeeded. And as I had planned, I spent that night at home, on my own. I had ruined a few months of my life to achieve the grades I wanted, and now that I had them, I didn’t even celebrate my hard work. I didn’t feel the need to either, because as everyone had told me, “the Junior Certificate doesn’t mean anything”. I was informed that even though my grades were great, the Leaving Certificate is the only thing that matters anyway. I spent that evening on social media, looking at all my school friends enjoying themselves, and feeling rather empty. I wish I had spent time with my friends during the lead up to exams and on those breaks between papers. My best friends are there to confide in, and to trust, and they have the ability to make me think about things logically and calmly. I wish I had spoken to my family during the weeks of the Junior Cert, when I was just a few inches away from a potential breakdown. I didn’t have to treat my mind and body the way I did, I placed results above my wellbeing. And I really wish that I could have pushed away my fear of failure, which still permeates my attitude to school, and celebrated an achievement I should have been very, very proud of. In Irish society, getting your results means a lot. Even if the Junior Cert isn’t the be all and end all, (and it definitely is not) finishing the Junior Cycle is significant. You are moving on to your last years of secondary school, you are getting closer to coming of age, you’re growing up. You’re not some little girl or boy straight out of National School anymore, and the next few years will be full of change, of new influences, of new people, and of new beginnings. Perhaps if I measured my “success” in moments of happiness rather than credentials on paper, I could have made that occasion a night to remember. The day you get your Junior Certificate results is not the day to “chill on the sofa and watch some TV”. Take it from someone who’s done it, you will regret it so much. Whether you are happy or unhappy, or even if you feel completely ashamed of your marks, my advice is that you should still do something. Something which is special to you, something different, something which you will remember and which will landmark this special day. 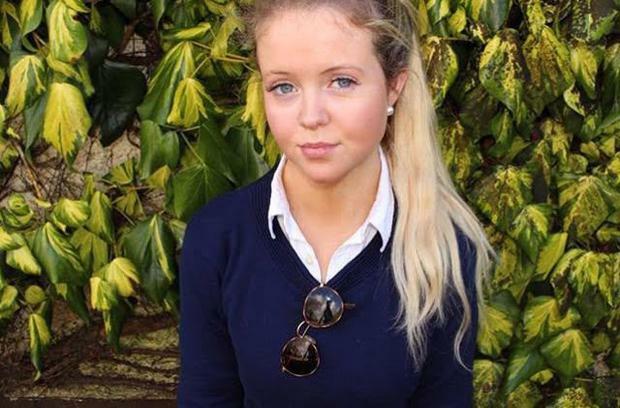 Jane is a 5th year student in St. Mary’s High School Midleton, Co. Cork and the President of the Irish Second-Level Students' Union. This article was originally published on www.issu.ie.